Dixon wanted to rush at her and tip her backwards in the chair, to make a deafening rude noise in her face, to push a bead up her nose. ‘How do you mean?’ He asked. 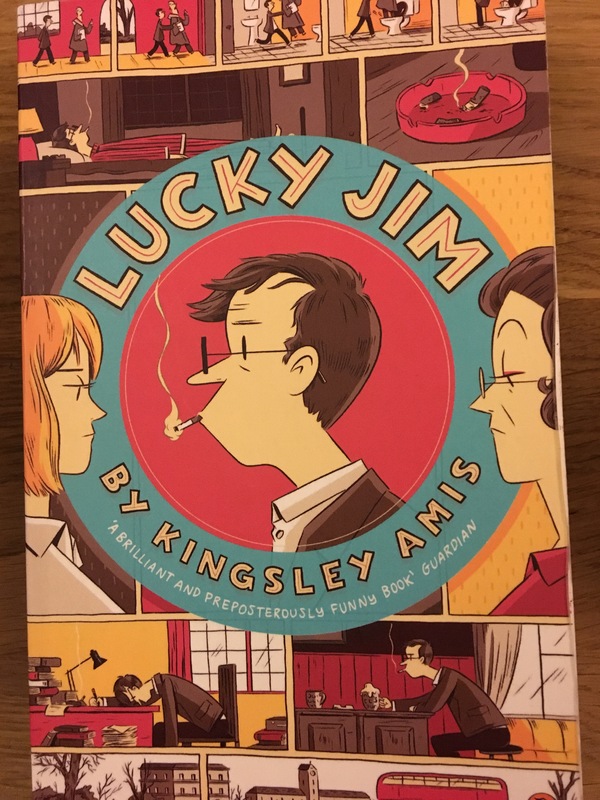 I first read Kingsley Amis’s Lucky Jim several decades ago. I enjoyed it immensely; and noted this exchange as summing up both how some women speak; and how some men react. Re-reading the book recently I felt it had not aged well; but that it was still full of laugh-out-loud moments, including the one above. What I was less sure of was how similar Kingsley Amis’s eponymous first person narrator is to Kemal, the first person narrator of Orhan Pamuk’s scary and thought-provoking novel The Museum of Innocence, which I reviewed recently. In particular, are they similar in the way they treat women? What do you think? I would welcome thoughts from readers. As I am on holiday without a computer or iPad I cannot give this subject the attention it deserves for now; but will aim to do so in August when reunited with a computer. By Robert Pimm in Robert Pimm on 22/07/2017 . Da ich weder Kingsley noch “das Museum der Erinnerungen” kenne, ist das eigentlich ein no comment – wollte nur mitteilen, dass dieses Versäumniss schleunigst nachgeholt wird.